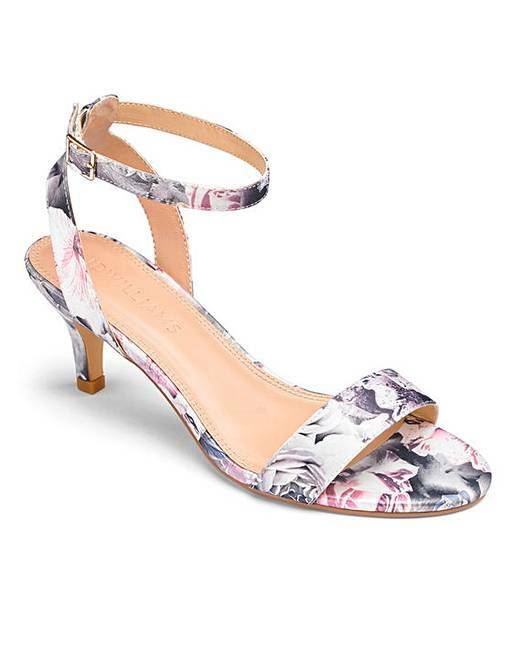 Kitten Heel Strappy Sandals E Fit is rated 4.5 out of 5 by 4. 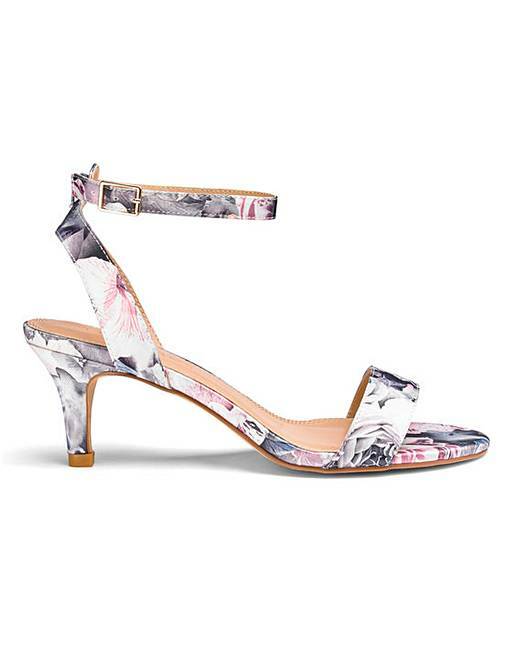 These on-trend kitten heel sandals are the perfect heel height to wear for any occasion. In a choice of this season's colours and fabrics they are sure to add the finishing touch to any outfit. Rated 3 out of 5 by None from Great match to the handbag I am pleased i was able to get the matching handbag. Rated 5 out of 5 by queehnie from Fab shoes Love these shoes. Good fit, nice material and looks stunning with the matching bag. 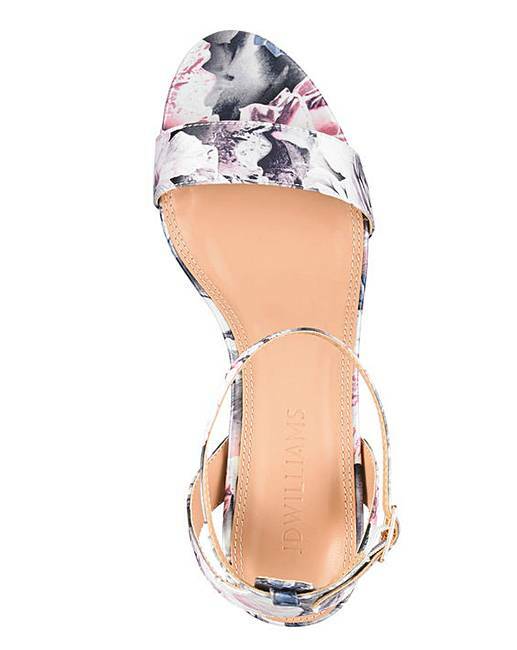 Rated 5 out of 5 by Fliss from Lovely shoes I bought the grey flower pattern sandals and clutch bag to go with my mother of the groom outfit. 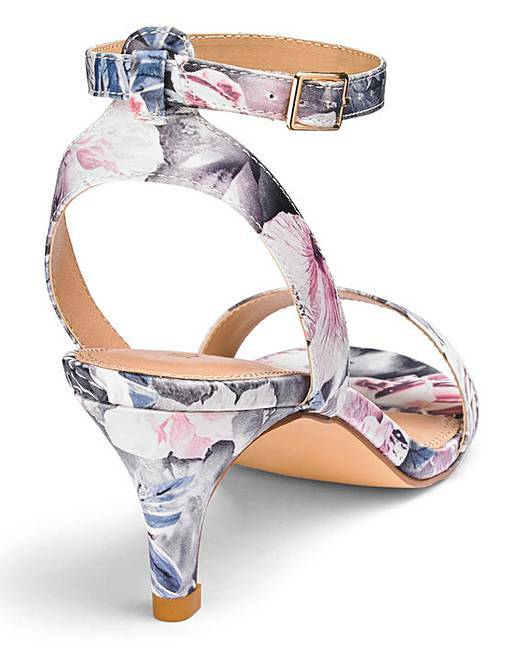 The heel height is lovely and they fit beautifully.